We are always looking for the best homes for our German Shepherd puppies, with owners who will be as dedicated to their dog’s health and happiness as we are. 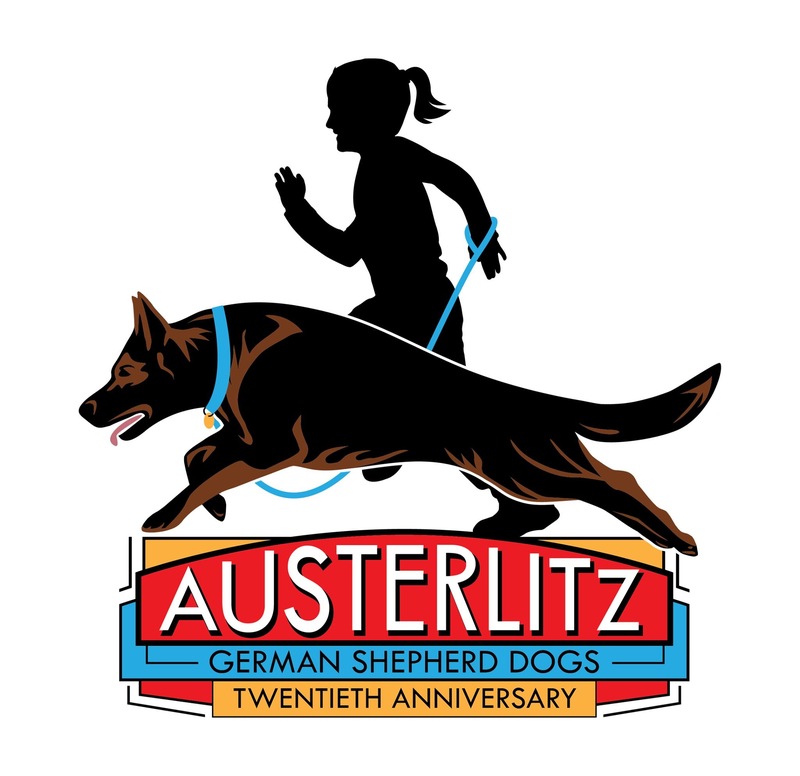 When you add an Austerlitz Shepherd to your home, you become part of our extended “Austerlitz Family” with all the support and community that entails. As dedicated breeders of German Shepherds we look forward to getting to know you! We are proud to be an AKC Breeder Of Merit, Member of the German Shepherd Dog Club of America, and all our breeding stock is health tested as recommended by the parent club and the Orthopedic Foundation For Animals. We follow all best practices outlined by the OFA for breeders, and are proud to breed the healthiest German Shepherds we can. 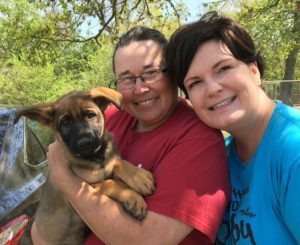 All puppies are home raised, using the Gold Standard Puppy Culture protocols, by full time caregivers/puppy raising experts Susanne Shelton BOM CPDT-KA and Rebecca Pinkston. We devote ourselves fully to each puppy in our care, using all our skill and expertise to ensure that each puppy has the best early puppyhood experience possible. Puppies leave for home the first Saturday after their 9 week birthday, while this is a little bit later than most breeders these extra few days with us have enormous benefits for your puppy’s long term behavioral health. On Puppy Pick Up Day we provide you with our Passionate Puppy Raising Seminar for free, this 4 hour seminar is jam packed with information to help you, and your puppy, have the very best start in life. Like all responsible breeders we care deeply about the long term happiness and welfare of every dog we produce. What sets us apart from from many breeders is our expertise in working with both dogs and humans, and our knowledge of how to make the best match for each puppy and client. But we can’t know if a dog from our program is a potentially a good match for your unique situation, lifestyle, family, and overall needs until we get to know you a little bit better! Here is how the purchase process works, from start to finish. New Client Questionnaire: Upon your requestion we will send you our New Client Questionnaire please complete this together with your entire family’s input. This is the first, and most important step in the application process. We will be learning about your family to see if your needs fit with the physical and behavioral traits expected in our puppies. Please be aware, not everyone who completes the application end up getting a puppy from our program, this is in no way a judgement on you or your family! Please know this only reflects our commitment to finding the right match for each puppy AND each family, it’s not about a “good” or “bad” home. Phone Interview: Very often, we will follow up on the questionnaire with a phone interview. This allows us to get to know each other better! Submit Photos/Videos: We may request you submit both an address (For Google Earth/Maps, this is to confirm your home has a securely fenced yard) and photos or videos of your fence (or other containment options), how your house is situated (ie in a densely populated urban area, suburban, rural, proximity to roads etc). Again, this is to confirm that you are prepared to safely contain a large and powerful dog. If all that goes as hoped, and you have decided we are the breeder for you, and we have decided that your needs would be well met by a dog from our program then you will be invited to submit a Holding Fee of $500 that is in most cases non-refundable. This holding fee is applied towards the purchase price ($2000) of a puppy. The holding fee may be paid as: Personal Check, Cashiers Check, Postal Money Order (in that order of preference). Puppies are picked up on the first Saturday after they turn 9 weeks old. Please budget 4 hours on pick up day to attend our Passionate Puppy Raising Seminar. The balance of $1500 (Puppy price of $2000 – Holding fee of $500) is due in cash ON THIS DAY. If you wish to pay your balance by personal check, cashiers check, or postal money order this MUST be done a minimum of 2 weeks prior to Pick Up day, NO EXCEPTIONs. While this process may seem long and detailed, our experience has found this process is the most effective way we can ALL do our very best to ensure that every puppy finds, not just a good home, but the best home possible. We care deeply about the long term happiness and welfare of our dogs, and also the happiness of every single family that chooses our program. Our commitment to our puppies extends for their lifetime, we are always willing and able to take back any puppy we breed, or if you find yourself unable to care for your Austerlitz Shepherds we will help you find a loving home for that dog. We also provide a lifetime of support, advice, and education to every family in our extended Austerlitz Family. We hope you’ll consider joining us, and choosing an Austerlitz Shepherd as your next German Shepherd Dog.